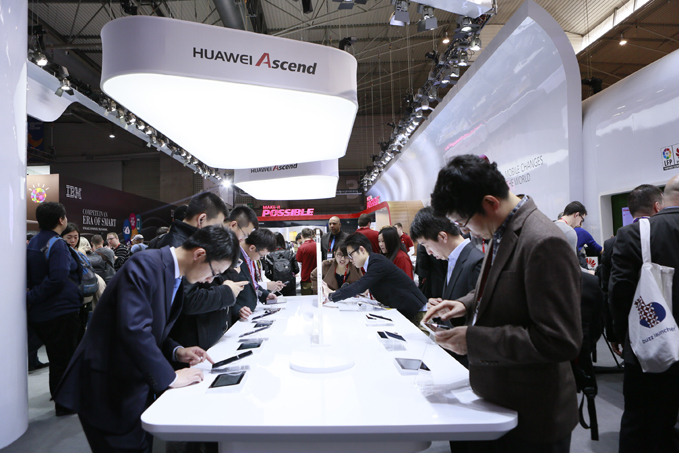 Barcelona, Spain – Huawei has just launched the the HUAWEI MediaPad X1 (the world’s thinnest phablet), the Huawei MediaPad M1 (an 8″ entertainment tablet), the HUAWEI Ascend G6 4G (a premium-looking smartphone), the HUAWEI TalkBand B1 (a “talk and track” smartwatch), and the world’s first Cat6 Mobile WiFi HUAWEI E5786. 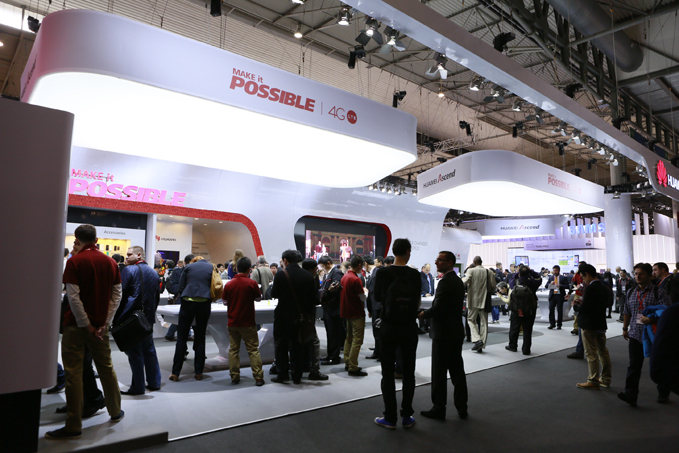 All 5 4G LTE devices were launched at the Mobile World Congress 2014. 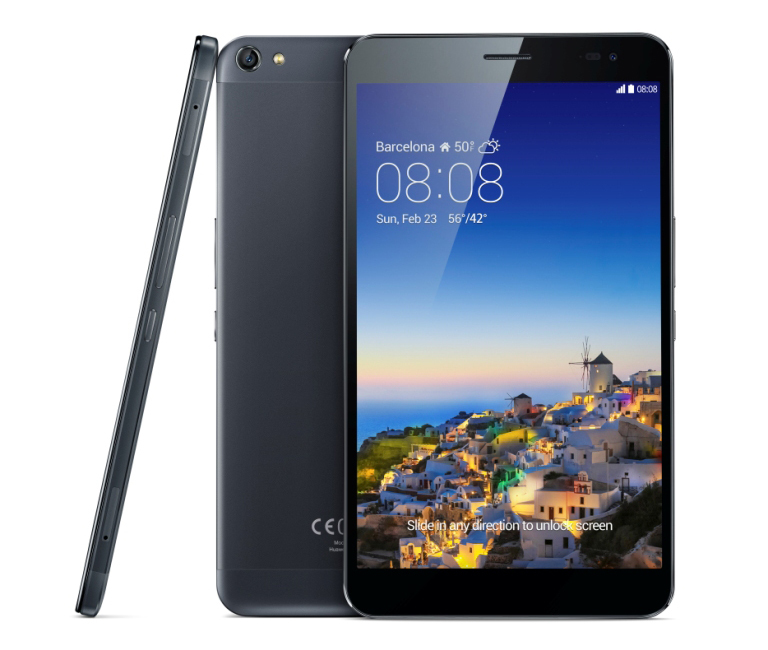 The Huawei MediaPad X1 has a crisp 7″ 1200×1920 LTPS HD 10-point capacitive touch display with an impressive 80% screen-to-body ratio. It weighs 239g and measures 7.18mm thin and is comfortable to use with one hand. The 5000 mAh battery lasts up to 21 days of standby time and more than five full days of continuous use. 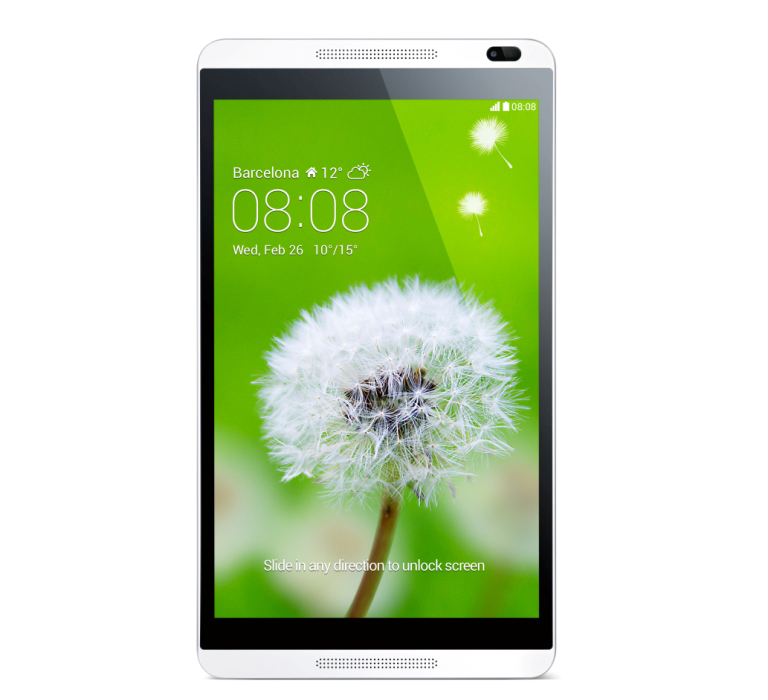 The Huawei MediaPad X1 also comes in white. The Huawei MediaPad M1 is an all-round entertainment system on a tablet, featuring an 8-inch 800 x 1280 HD IPS multi-touch capacitive screen, with Huawei SWS technology, dual front-facing speakers and dual microphones for enhanced sound quality and stereo effects. Powered by a 1.6 GHz quad-core processor and super-strong 4800 mAh capacity battery, HUAWEI MediaPad M1 supports 8 hours of video playing on a single charge. The MediaPad M1 also comes in gray. The Huawei Ascend G6 4G features a vibrant and crystal clear 4.5-inch qHD LCD display with 245 ppi. 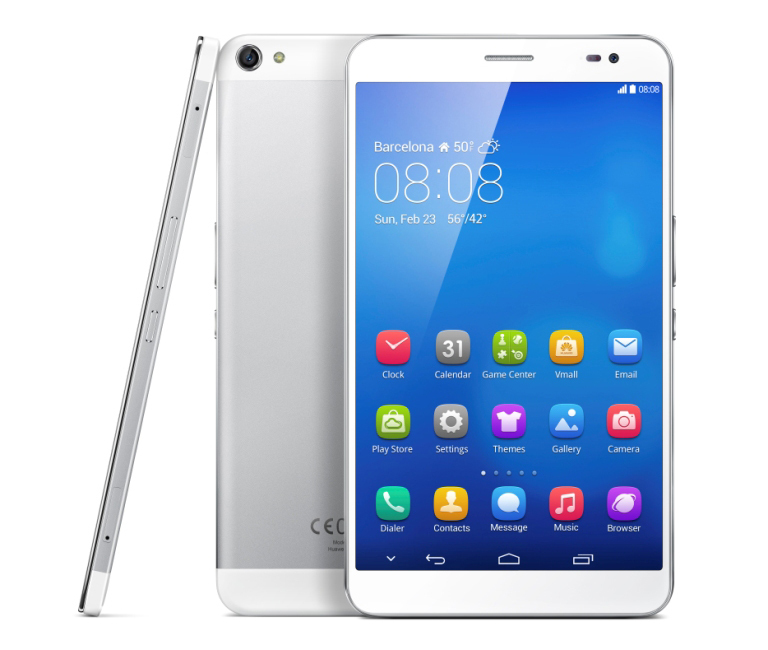 Running on a powerful quad-core 1.2 GHz processor and robust 2000 mAh battery with up to 30 percent power saving, HUAWEI Ascend G6 4G is 4G LTE-enabled. The Huawei TalkBand B1 features wireless calling and daily activity tracking on-the-go. It has a Bluetooth™ 4.1 wireless earpiece, enabling up to seven hours of continuous calling with a 1.4-inch flexible OLED display. It is designed to support wireless calling on both Android 2.3+ and iOS 5.0+ compatible devices, and syncs effortlessly via NFC. HUAWEI TalkBand B1 monitors steps taken, miles covered and calories burned to maintain fitness, and its 90 mAh battery lasts six days without the need to recharge. 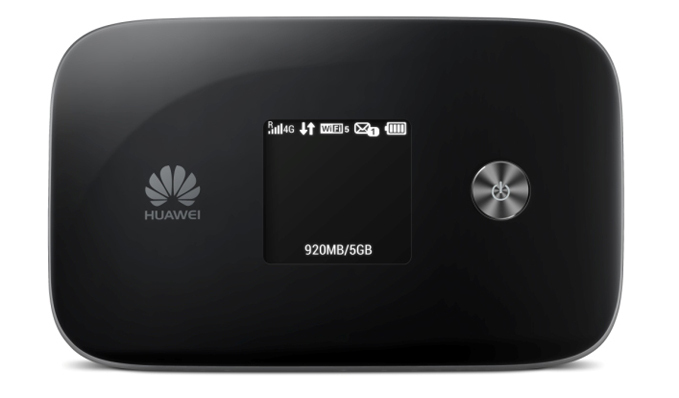 Connecting up to 10 devices, the Huawei E5786 offers lightning fast speeds of 300 Mbps; perfect for downloading an HD movie in 30 seconds. It is the first Mobile WiFi to support WiFi 802.11ac 2×2 MIMO and, with carrier aggregation, provides unsurpassed connection stability. Stay tuned for local pricing and availability. 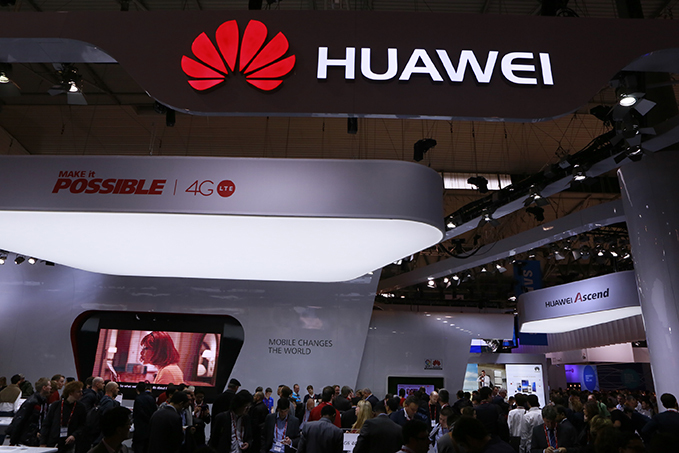 Meanwhile, here are shots of the Huawei exhibit at MWC in Barcelona.